This is a recent product photography shot we have produced for a local small business who sell goods online. The photographs needed photographing on a white background and saving to a size that Amazon stipulate. The client can only upload the images when these guidelines are met. 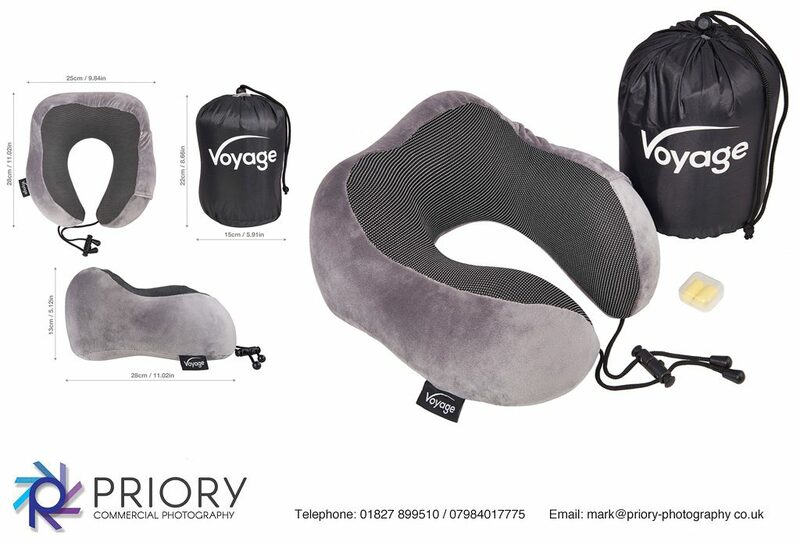 In total we shot around 6 various angles of the Travel Pillow and even added dimensions to a montaged photograph. The Amazon guidelines can be found here.